Ford previously hosted event with man who claimed gender identity is like believing "the world is flat"
This weekend Ontario Conservative members voted at their convention to ban teaching about gender identity and transgender people in Ontario schools, effectively denying the existence of an entire group of people. Certain Conservative members claim the policy isn’t binding and Ford may not act on it. But Ford’s history with controversial professor Jordan Peterson may offer some clues. 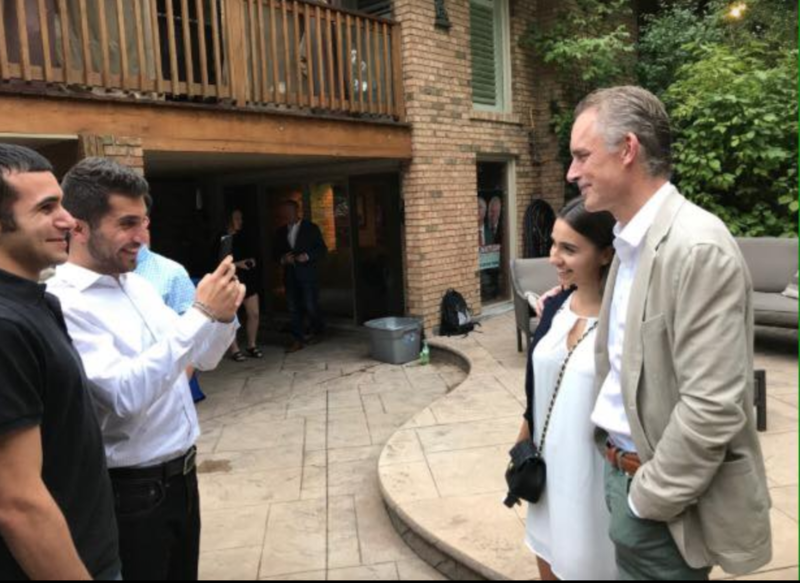 On August 31st of this year, Ford hosted an event with Peterson, a man who has made it part of his mission to oppose gender identity. In the past Peterson has claimed that believing in gender identity is “as bad as claiming that the world is flat”. 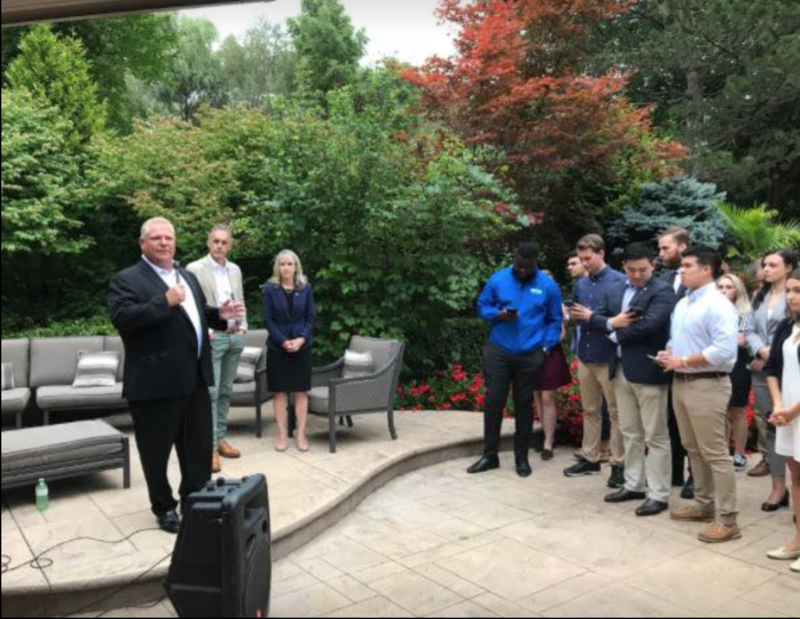 The event took place hours after Doug Ford committed to pushing controversial free speech policies on Ontario campuses. “Free speech” on campuses is a major focus of speakers like Peterson, even though there is no evidence that free speech is under attack. But that isn’t the first time Ford has appeared at an event with Peterson. 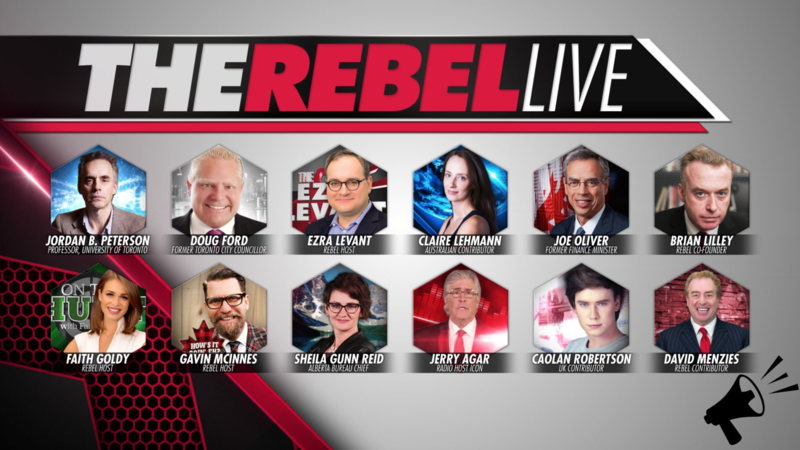 Ford was a featured speaker at Rebel Media Live in 2017, along with Jordan Peterson. Other guests included Gavin McInnes, the far-right founder of the violent hate group Proud Boys and white nationalist Faith Goldy. The Conservative resolution on transgender people will be debated at the next policy convention, at which point it could be adopted as official party policy. As of publication, neither Ford nor a single Conservative Cabinet Minister has condemned the resolution.